If you registered for the Green Card Lottery between October 18 and November 22, 2017 you are registered in DV-2019. If you registered for the Green Card Lottery between October 4 and November 7, 2016 you are registered in DV-2018. How are Green Card Lottery entrants selected? People who register for the Green Card Lottery are selected after the registration period ends in early November and the results of the selection are released in early May of the following year. Winners are selected so that no one country or region receives a disproportionate amount of winners. When will I know that I won the Green Card Lottery? Though the U.S. State Department does not directly contact winners of the Green Card Lottery, registrants can check if they have won in early May of the year following their registration. If you registered for the Green Card Lottery in 2017 then you will be able to see if you have won on May 15, 2018. If you register for the Green Card Lottery in 2018, you can check if you have won in early May 2019. How do I check the Green Card Lottery Results? 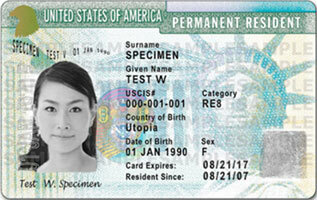 To check your results, you'll need your year of birth, Green Card Lottery confirmation number and last name. At USAGCL, we store this information and make it easy for you to check your results with just one click. We will also email you on May 15 to remind you to check the results. Am I more likely to win depending on my country of birth? Since this U.S. Government Program aims to diversify the American population by giving an immigration opportunity to under-represented ethnic groups and populations, no single country can receive more than seven percent of the available immigrant visas available in a single fiscal year.